Are you looking to create converting magazine ads for your brand of late? 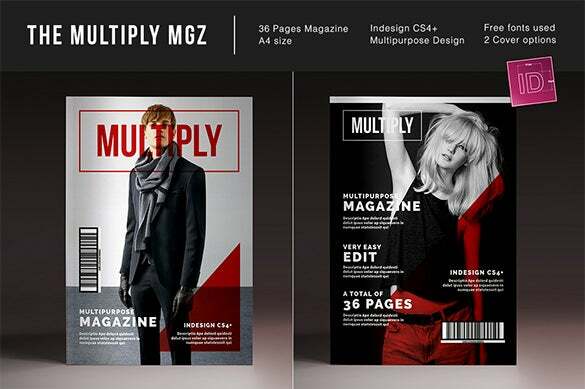 Well, if you are working in a short deadline and are also in need of some interesting inspiration on the format or design, our list of great magazine templates would be really helpful for you. These templates are free to download and hence you won’t have to worry about any extra expenses. Do you need an ad at a very short notice and have no clue how to proceed? 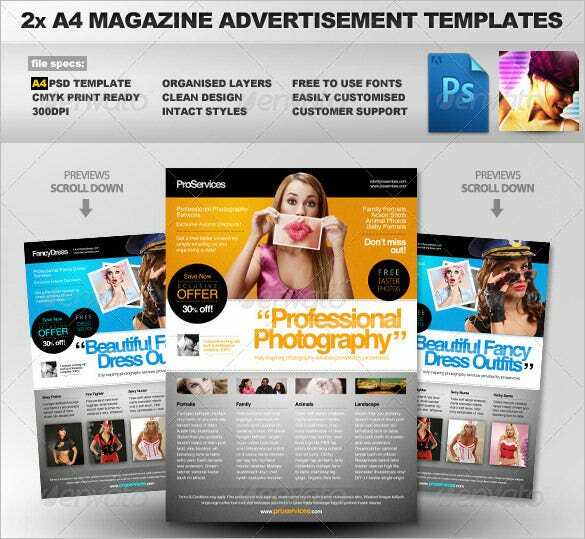 Put all your worries on hold because we have the 6x Magazine Ad Template Pack costing 11 dollars only. That would have surely brought a wide smile on your face, right? 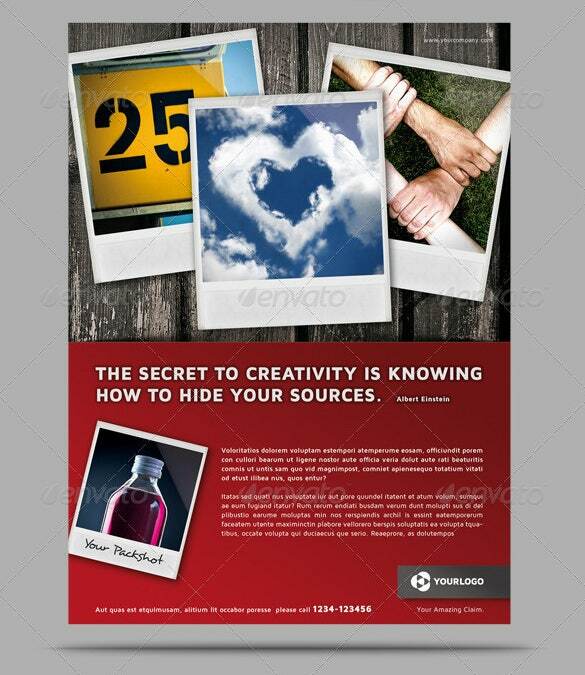 With Premium Magazine Ad Template, you only need to put in the related text and images, and your ad is ready. Now that would not take much time, would it? 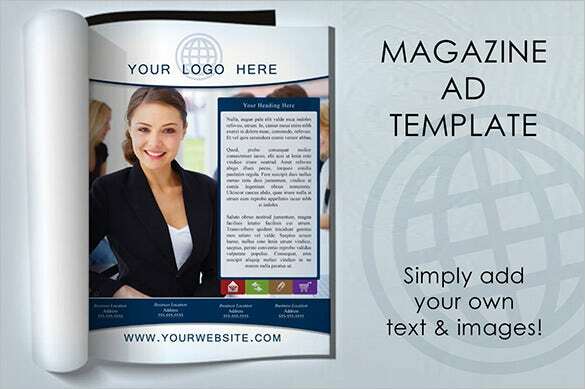 Add your logo at the predetermined place and your website to prepare your Magazine Ad. It would not cost you more than 5 dollars. 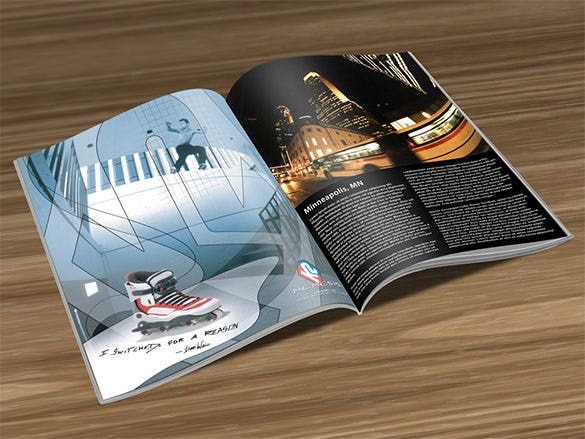 If you have a slightly higher budget than 5 dollars, you can take help of 2×3 Magazine Ad Template that allows you to add your logo and the images associated with your business at a nominal price of 7 dollars. Was advertising this easy ever? In order to have a complete list of advertisement rates, there is the Online Magazine Advertisement Rate Card through which you can compare different rates and have the best deal for your advertisement. Do not get carried away by false claims when it comes to advertising and take prudent decisions. 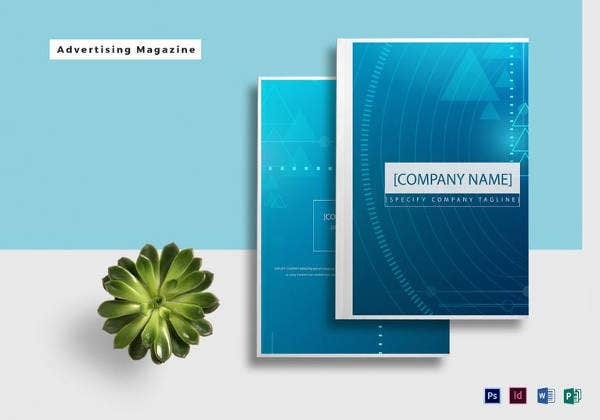 At a reasonable rate of 6 dollars, you can have General Purpose Magazine Ad Template that can be used by any business irrespective of the field. You can add your company name and website along with an impressive description on the template. 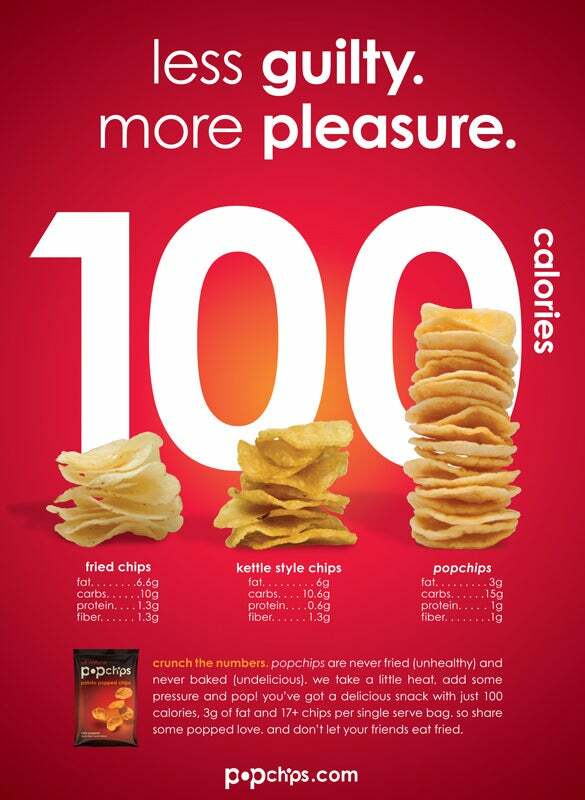 Popchips Magazine Ad Design is a very attractive design that can be used for food stuffs. You can download it from here. In case you have someone looking for an awesome ad for their eatables, share this Ad design that is perfect for them. 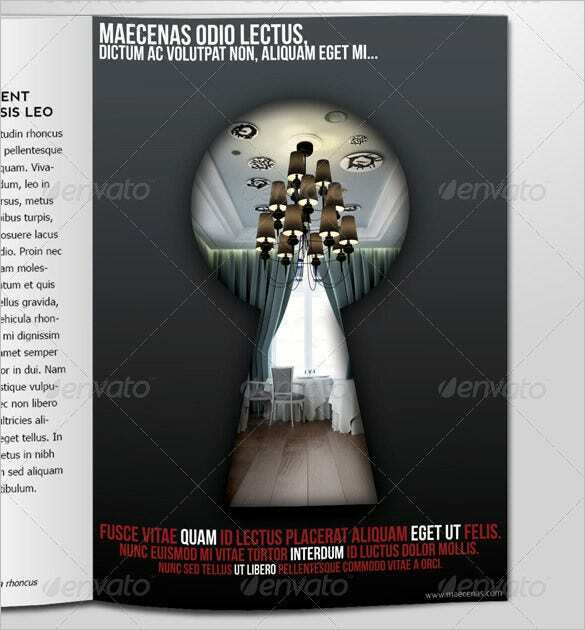 An Ad template with a keyhole is a brilliant idea to promote your business. You can have this excellent Ad template at a pocket friendly price of 6 dollars. Isn’t that great news? You can add your title, headline and content to this innovative template and promote your business effectively. Creating advertisements can get really stressful if you have run out of ideas. 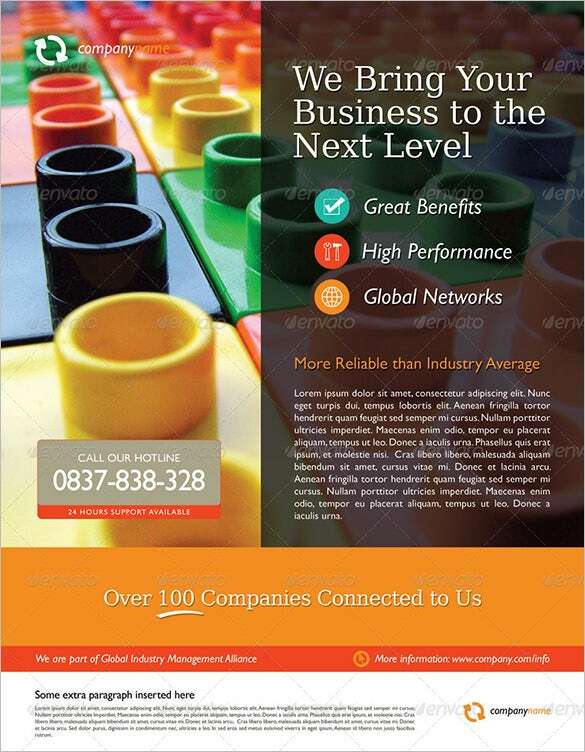 Try out Multiply Magazine Layout Ad and boost your business with a smart ad that would surely help you in grabbing customers. Share it with people who wish to have a fine Ad for their business. 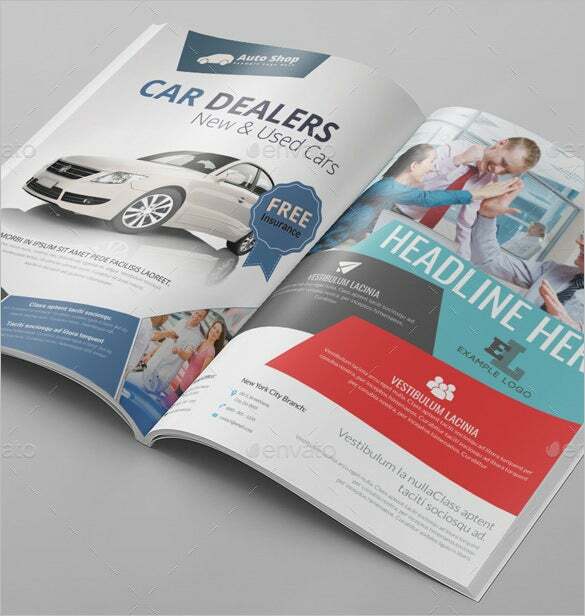 A4 Magazine Ad Template is a wonderful way to showcase your business on a paper. You can have ample content and pictures that would give all the details regarding your business. It would take around 6 dollars for the same. Without spending too much, you can bring in new customers to you through this template. 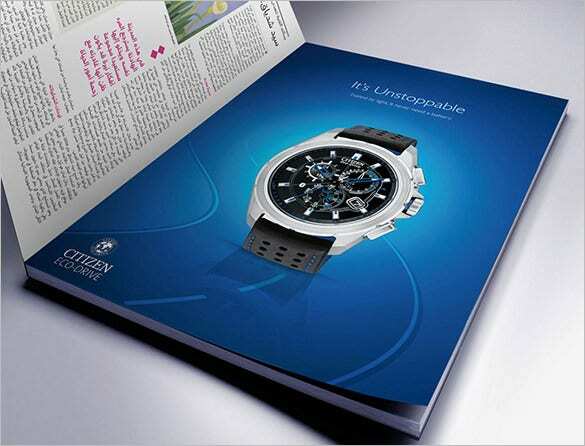 The timelessness of your company can be conveyed through a unique Watch Magazine Ad Design that depicts a watch with the lines “It’s unstoppable”. 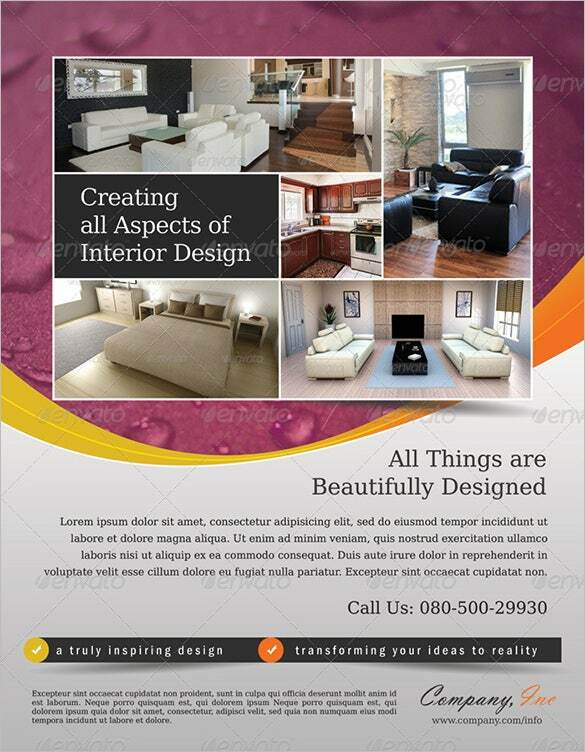 For all those businesses running successfully, through years, it is a great Ad design. You can download it here and share it with those concerned. 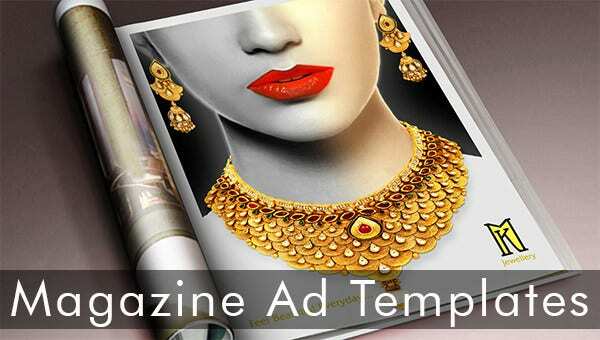 Our templates offer you a readymade structure for your converting magazine ad so that you don’t have to waste time in creating the ad right from the scratch. These templates can be customized easily which in turn saves a great deal of time for you.